"In a dream, I saw a group of people traveling on the road. Everyone was happy and there seemed to be no fear or concern on their faces. Everything seemed normal until they came up to a checkpoint where a group of military personnel was checking all the vehicles that were on that road. When this vehicle arrived at the checkpoint, the people inside were asked if they had any guns. As the military asked the question, I noticed there was a hunting rifle in the back of the vehicle. I could feel the tensions beginning to rise on both sides. After the conversation went back and forth for a few moments between the man driving the vehicle and the military personnel, one of the men in the vehicle reached back and grabbed the gun that was in the back seat and gave it to the military personnel. The military made a statement that the gun was going to be confiscated, but that they could file a claim with the government to get it back. At this point they were allowed to continue to their journey." End of dream. I believe that I was shown in this short dream that in the near future, we will begin to see roadblocks and checkpoints where the military will be checking vehicles for possession of guns. Guns are going to be confiscated. 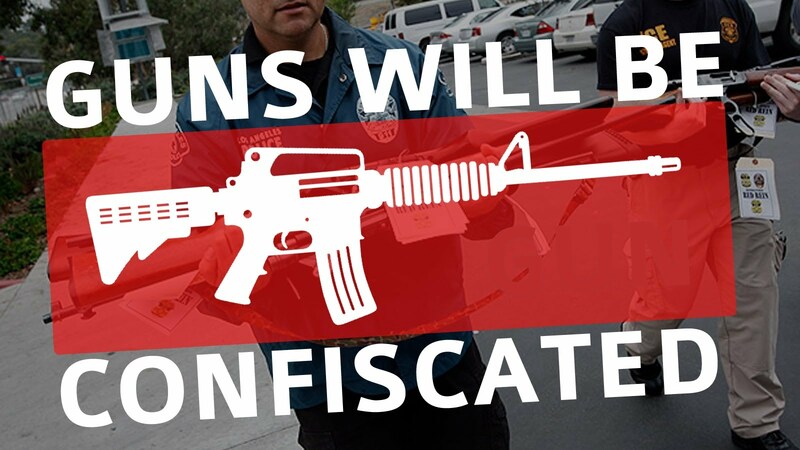 The U.N. gun law is going to become the law of the land. This will cause much tension and problems whenever it is implemented. Much prayer needs to be offered to the Father that this situation does not happen and that cool heads prevail, as this has the potential to lead to much unnessary bloodshed. James 1:3-5 Knowing this, that the trying of your faith works patience. But let patience have her perfect work, that you may be perfect and entire, lacking in nothing. If any of you lacks wisdom, let him ask of God, who gives to all men liberally, and reproaches not; and it shall be given him. 2 Peter 1:5-8 And for this reason, giving all diligence, add to your faith virtue; and to virtue knowledge; And to knowledge self control; and to self control patience; and to patience godliness; And to godliness brotherly kindness; and to brotherly kindness love. For if these things be in you, and abound, they make you that you shall neither be barren nor unfruitful in the knowledge of our Lord Jesus Christ.